News and Updates on Best Practices and Tips for Dock Construction and Seawall Construction, Maintenance and Care of Your Dock, and More. Sign Up Below. 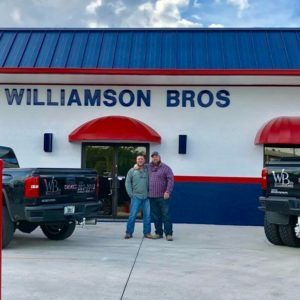 At WB Williamson Bros Marine Construction, we love to hear from our clients, fans, and friends. Use the form below to send a message or use the buttons to the left to request a quote or inquire about job opportunities. To stay in touch, sign up for our mailing list, or keep informed on the latest trends in dock and seawall construction – sign up for our list below.